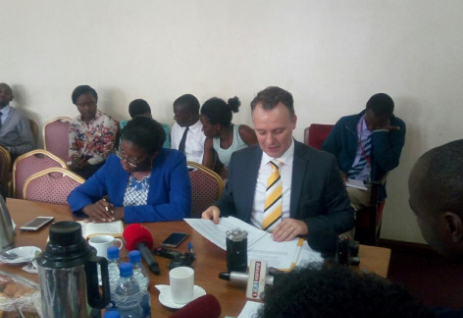 KAMPALA – The ongoing MTN saga has taken a new twist after the government on Thursday evening ordered the deportation of the company CEO, Mr Wim Vanhelleputte, in connection with compromising national security. 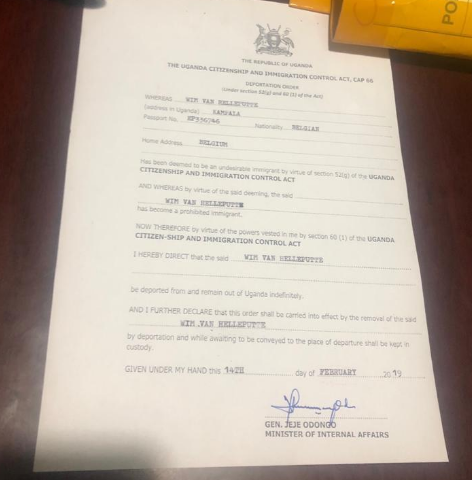 According to a deportation order signed by Internal Affairs Minister Maj Gen Jeje Odongo, Vanhelleputte, Belgian, was to leave the country immediately. When contacted on Thursday evening, Kampala Metropolitan Police spokesperson Patrick Onyango confirmed that the MTN boss had been put on a plane out of country. The CEOs deportation follows earlier deportations of French Cameroonian Olivier Prentout, Rwandese Annie Bilenge Tabura, and Italian Elza Muzzolini, over national security concerns. The three were linked to incidents that were supporting rebel activities backed by a foreign government using MTN Mobile Money and numerous unregistered SIM cards. This is a developing story and details will follow later.